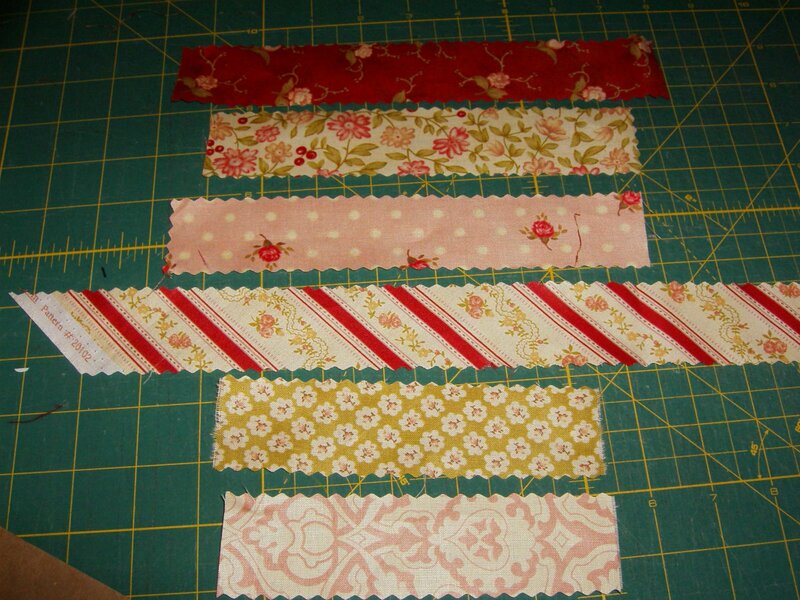 Do you ever wonder, “What can I make with these little left over strips?” I personally hate to throw them away. You will need 2 pieces at least 7″ long. 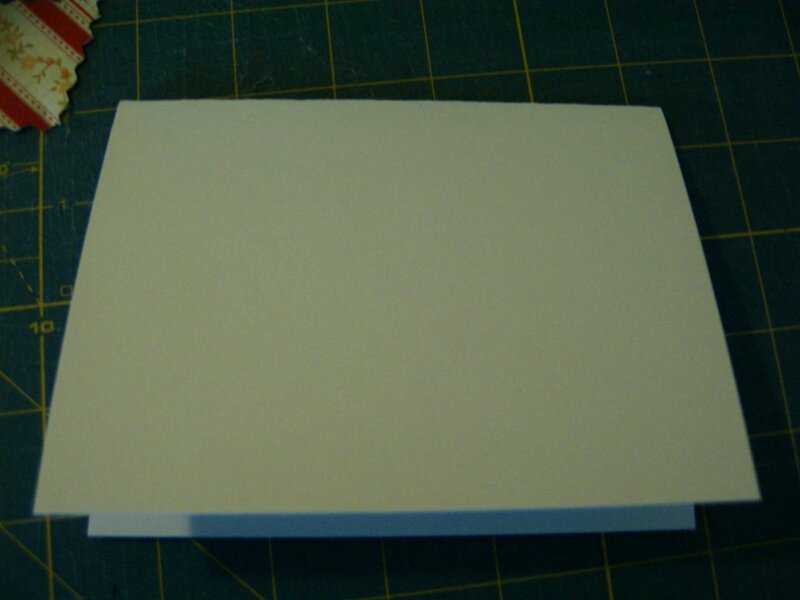 Cut a piece of card stock 8 1/2″ x 5 1/2″ Fold in half. 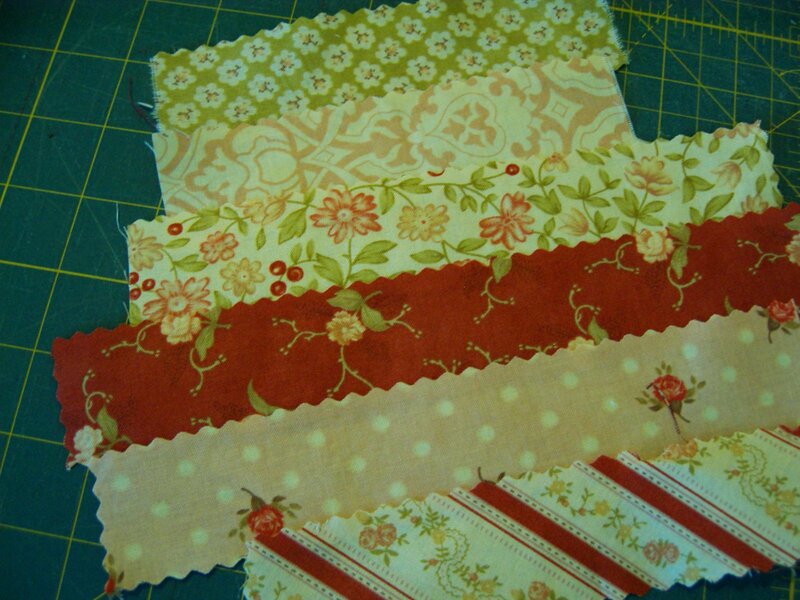 Lay your strips on a piece of fusible web that is 5 1/4″ x 6 1/2″. 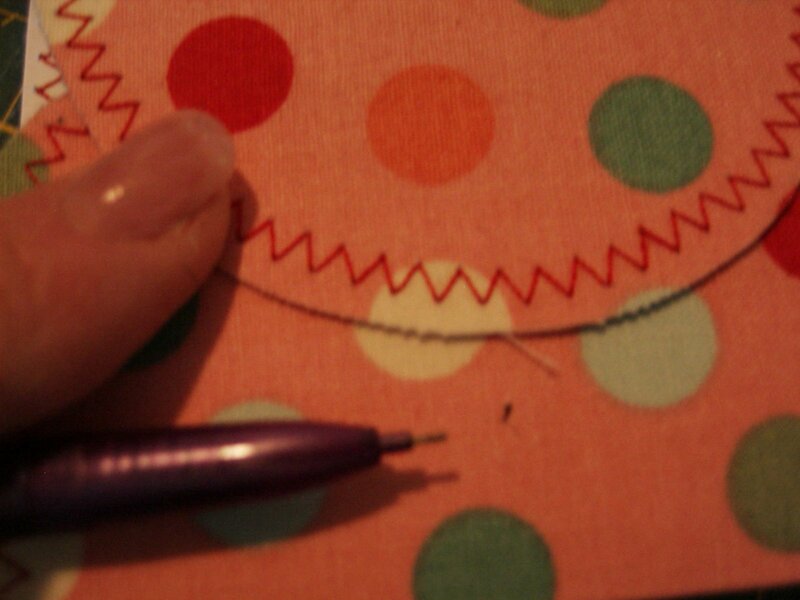 Over lap the one edge onto the next piece a scant quarter of an inch. Press to the fusible web. 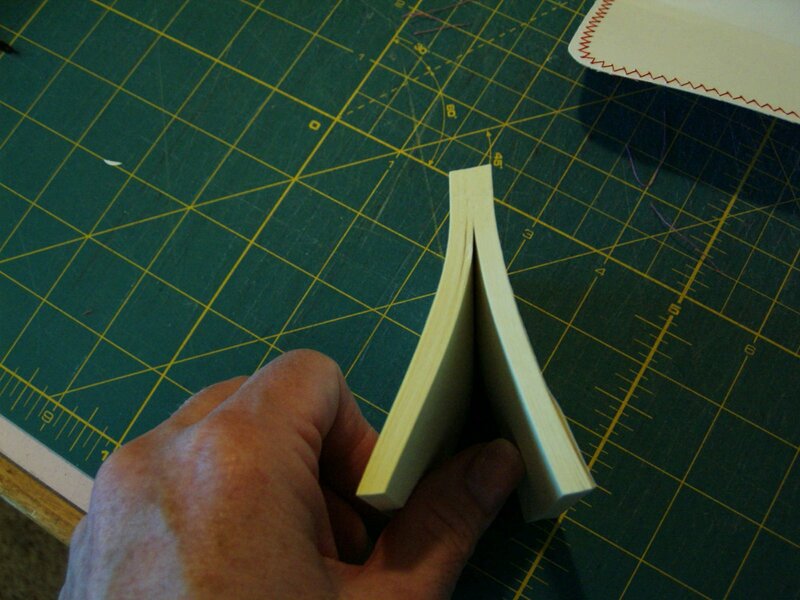 Cut with a ruler and rotary cuter, one of the 6 1/2″ edge. Peel the fusible web from the back. 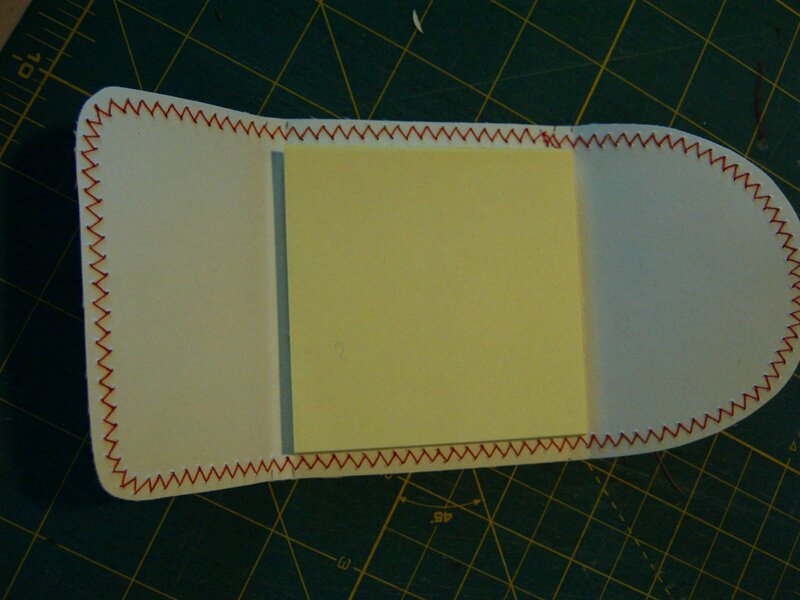 Place the cut edge along the fold line of the card. 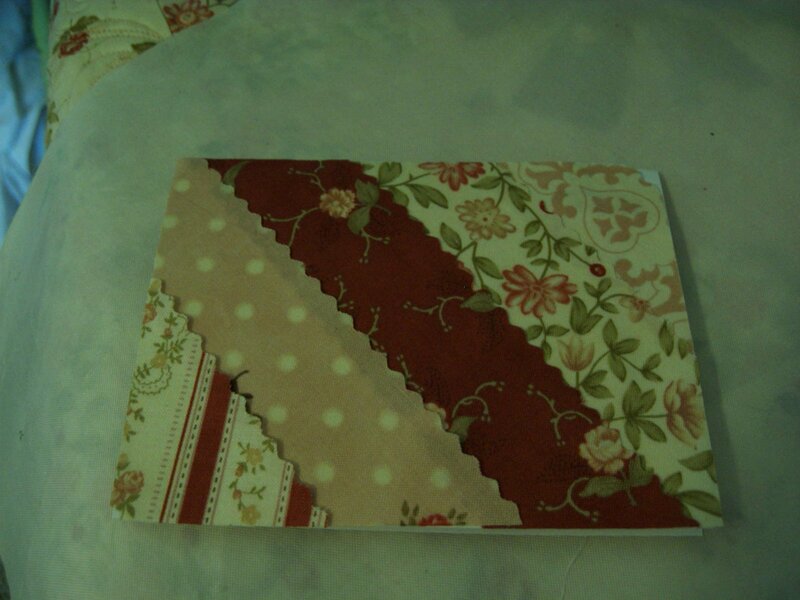 Iron the fusible web to the card stock. Press hard. I let mine cool, then press again. 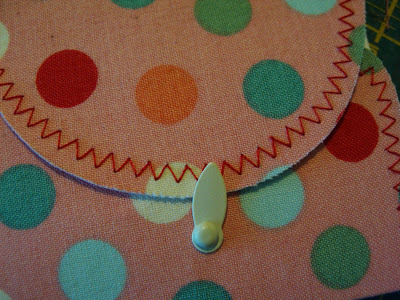 Trim from the inside of card all the way around the edges to fit the card. 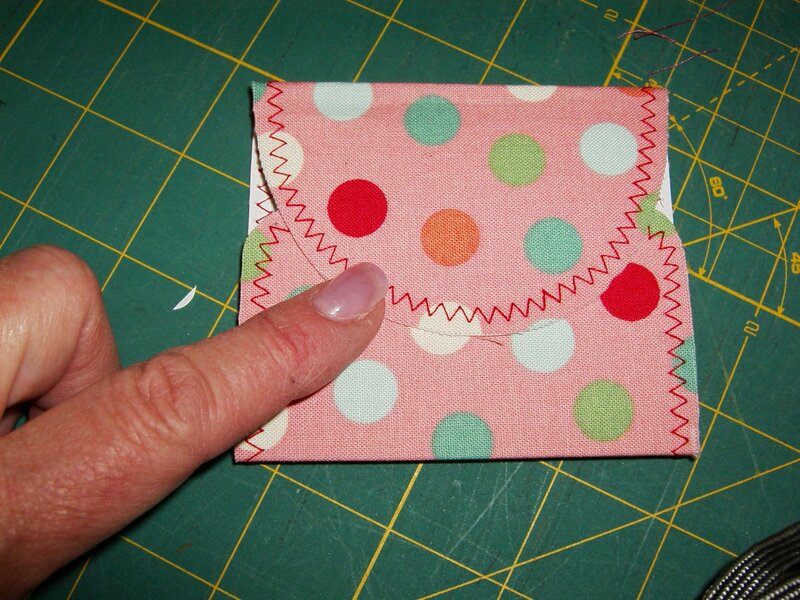 Stitch along the edges of strips 1/4″ from the edge as show. You can leave your cute note card plain, or add embellishments like a sparkle press-on embellishments from your scrapbook store. 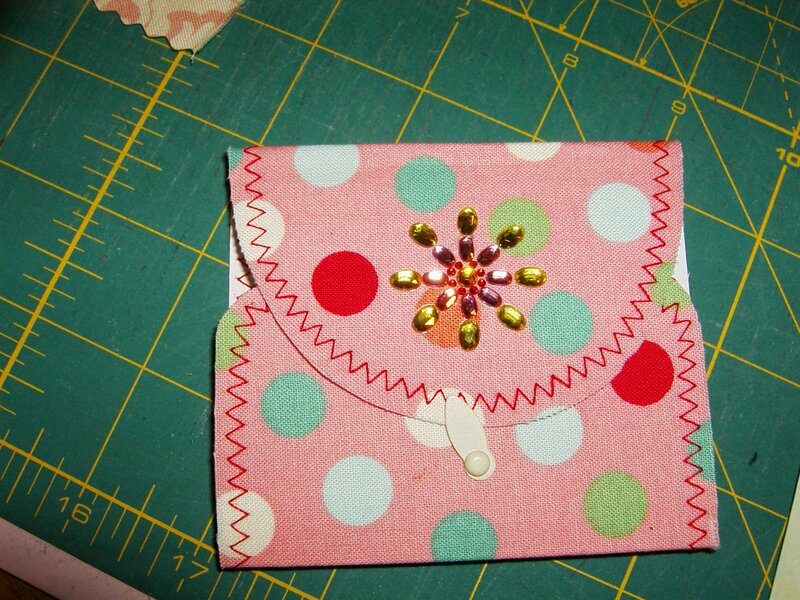 It will mail better if you don’t use a 3D embellishment. NOTE: You could make a set of 6-8 and give as a gift. 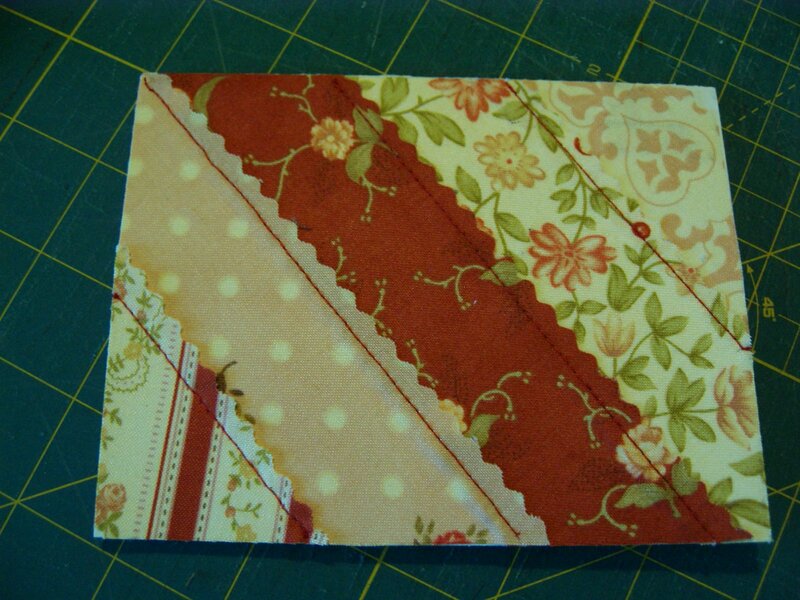 This next part is a little note pad to keep in your purse, or give away! 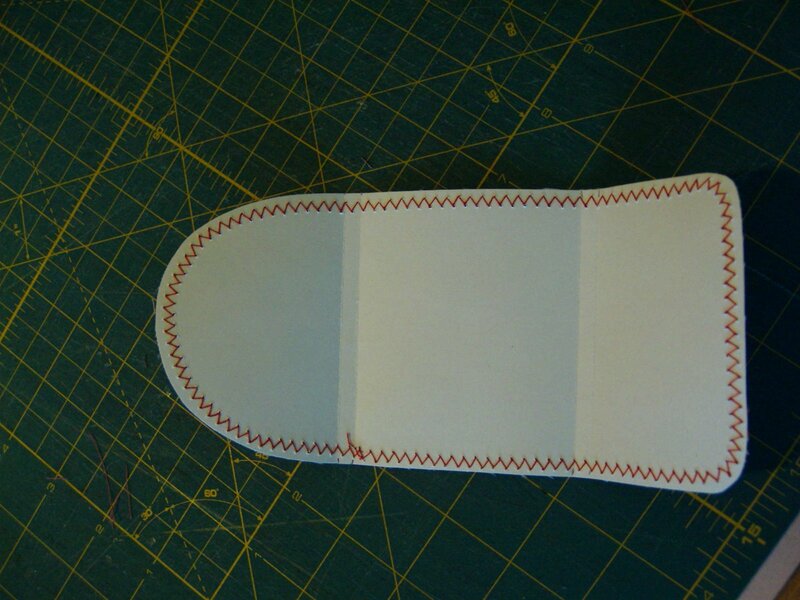 Trace this pattern on a piece of card stock and cut out along the outside lines. Make a small dot where the 4 score lines go. You will score it later. 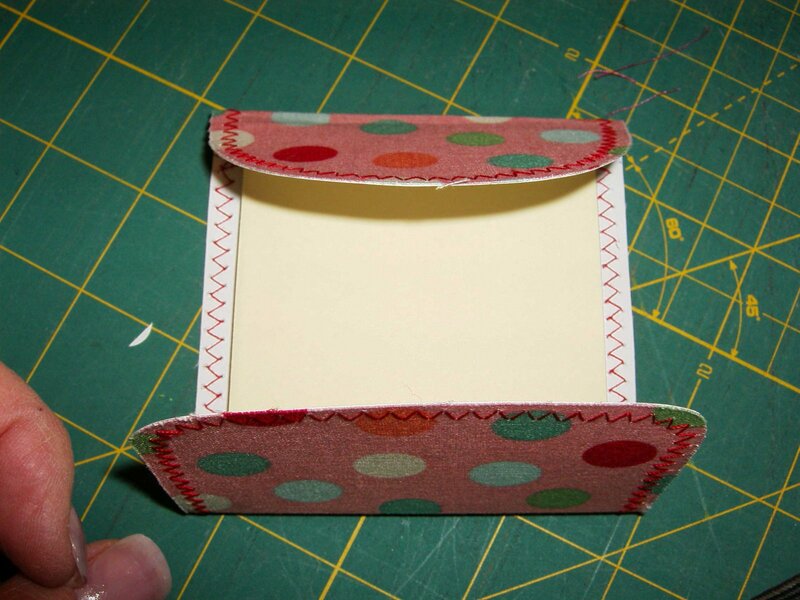 Use a layer cake piece, or 5″ x 10″ scrap. 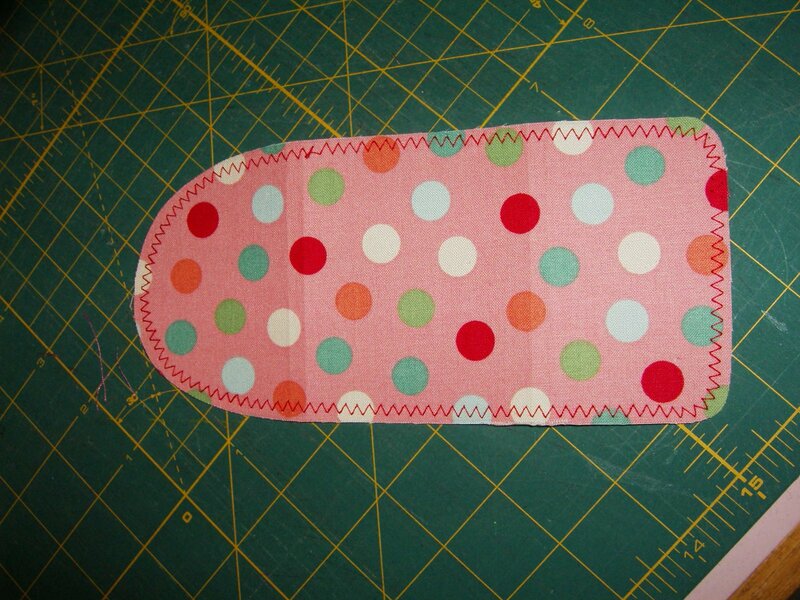 Cut the fabric 1/2″ bigger all the way around the card stock pattern. 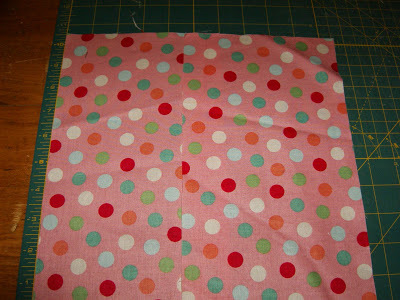 Iron the cut fabric to fusible web. 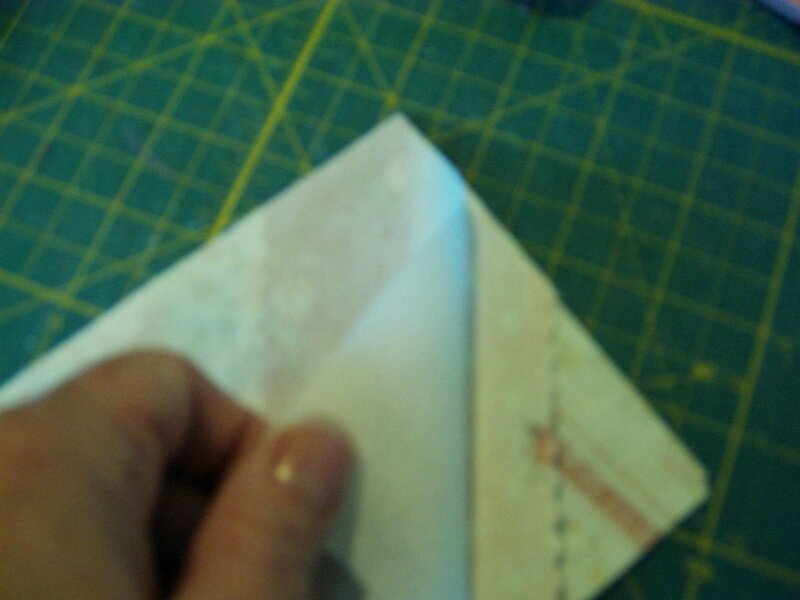 Peel off back and fuse the fabric to card stock pattern on the opposite side where you marked the scoring. Trim all the way around the piece, and then zig-zag around the entire piece. Turn piece over and with a ruler, score the 4 score lines. Tear in half a regular pad of sticky notes, to about 48-50 papers. 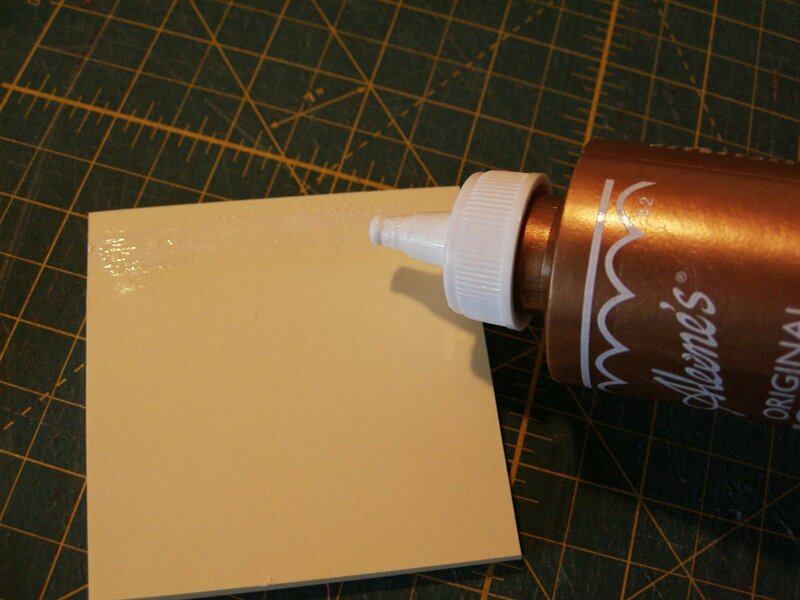 Add a small dab of glue just to the bottom page on the sticky part along the top. Press the sticky pad onto the piece between the score lines. It should close like this along the score lines. And look like this when open. 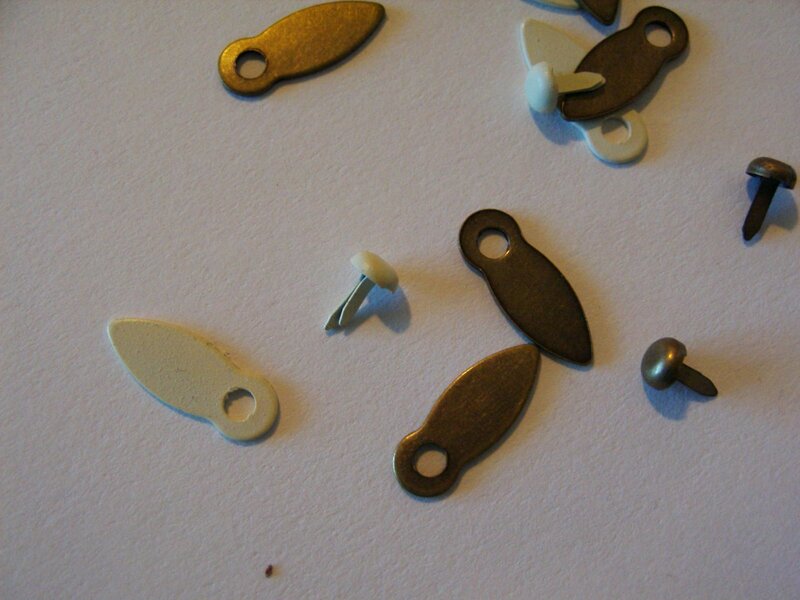 These are the what the photo anchors look like. They come in one package and have two parts. Notice where the photo anchor is. 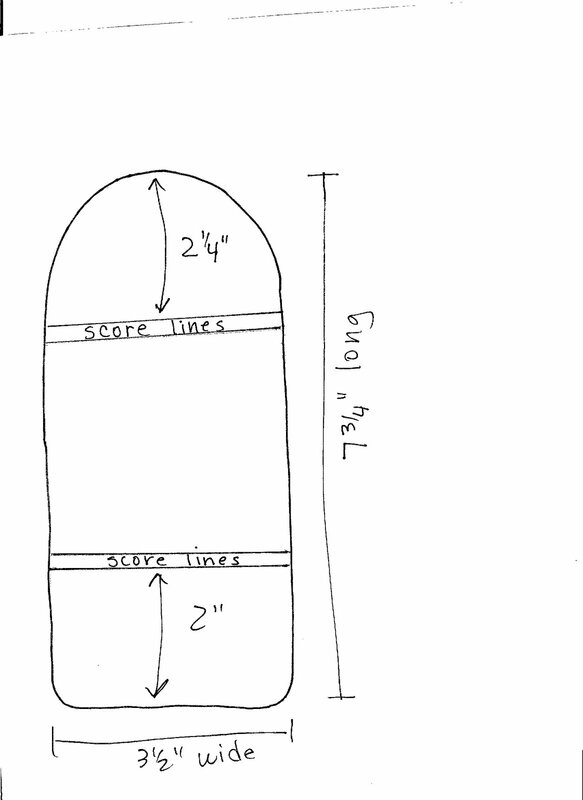 The pad should just close naturally along the score lines, so position the anchor so the top flap will just fit under the anchor…then make a small dot with a pencil as in the next photo. Hold the top closed where it would be naturally. 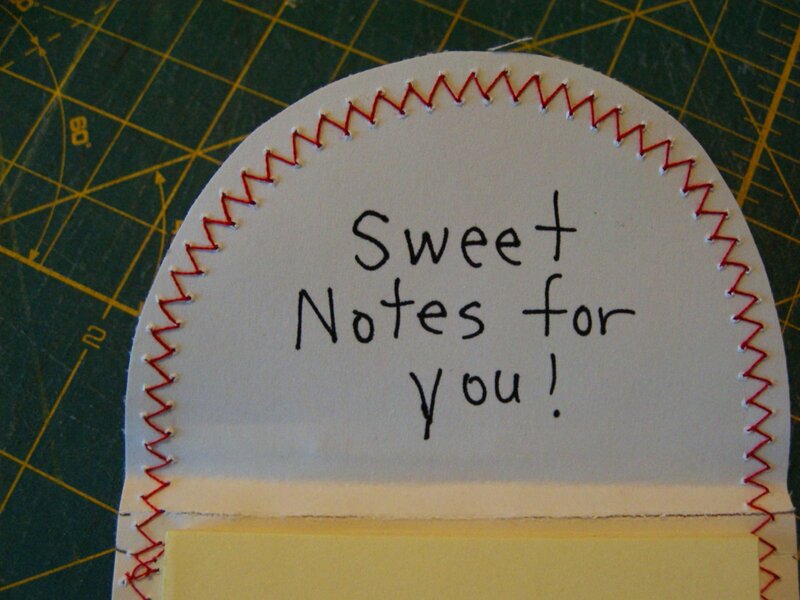 You can write sentiments inside the flap. 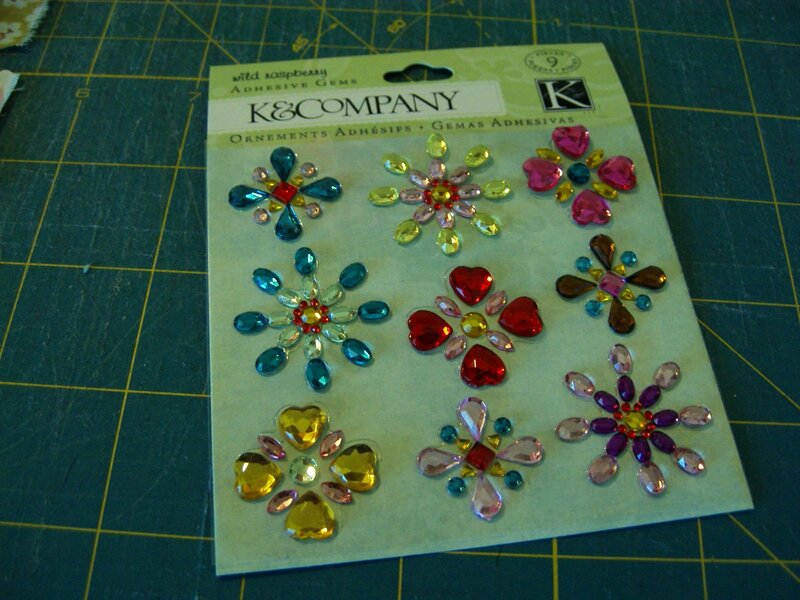 These are the sticky jewels I have been wanting to use, they work great for these projects. One little note pad, or note cards. This entry was posted in Accessories, Easy, Honey Bun, Layer Cake. I love your Blog and your Ideas und instruction! These are so cute..and easy enough that I could actually finish them! 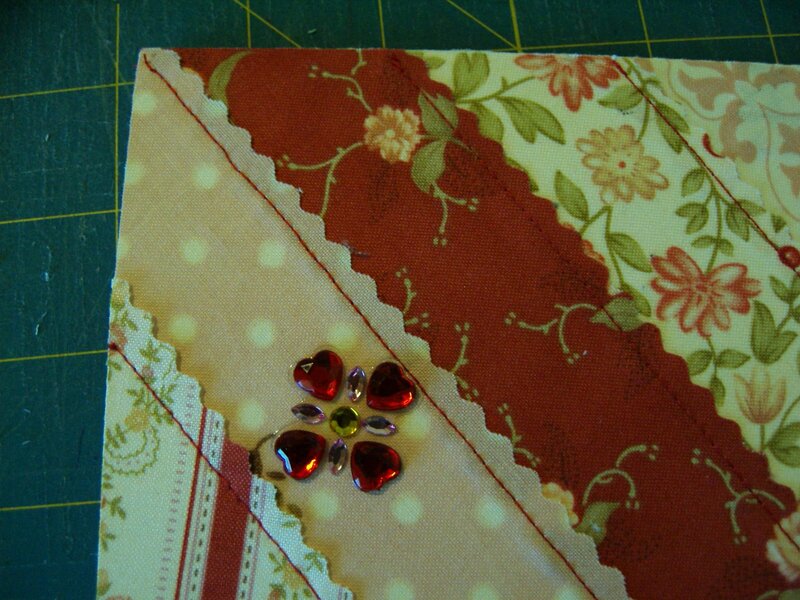 Sheri…I love the relatively easy way to use fabric we love on making a card for someone we love. It is like sharing more a part of yourself! Thanks! wow..thanks for sharing those cute ideas. Something I will be giving a go at sometime. 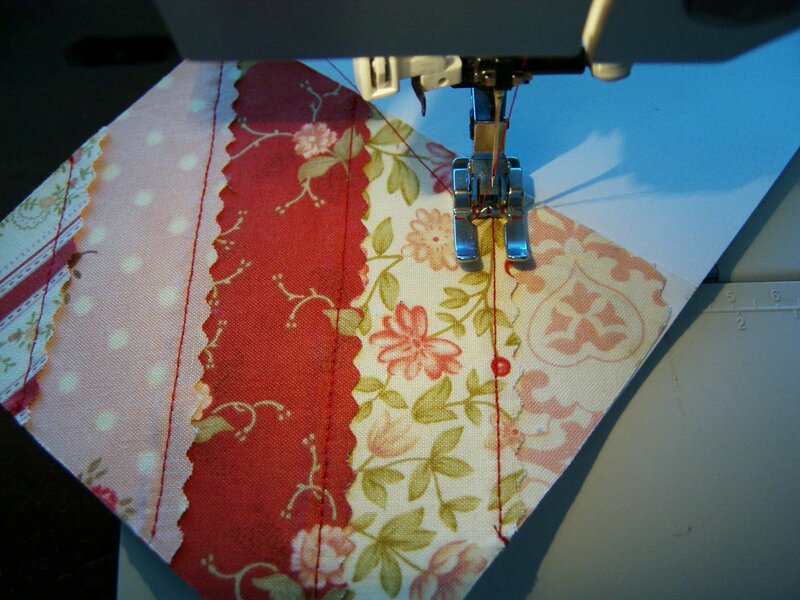 I love this blog sew much!!! So many awesome projects to do with material…. you are briliant!! !